Hey it’s Brian from KizugawaCity again. This time I would like to introduce the day that closes the Lunar New Year vacation in Taiwan – the Lantern Festival. Lantern Festival, or Yuanxiao Festival, is on the day of the first full moon after Lunar New Year. And just like its name, it is celebrated with many decorated lanterns. Cities put on exquisite lantern and light exhibitions and hold　riddle contests. It is a fun night out with family and friends. In Taiwan, there are many regional traditions and events, some exciting and some you may find odd. In NewTaipeiCity, many write their wishes on sky lanterns, which are hot air balloons made with paper, and release them into the sky. The night sky is filled with thousands of floating sky lanterns. It is a beautiful and peaceful sight to see. In the south, in the City of Tainan, the Lantern Festival celebration called “Yen Sui Feng Pao” paints quite a different picture. According to local legend, lighting fireworks on the night of Lantern Festival can take away bad fortune of the year. The fireworks fly in every direction like bees, that is why the event is called Feng Pao, “bee bombs”. Thousands of participants gear up and gather to be hit with the fireworks. Similarly, in the city of Taitung in the east, there is “Bombing of Han Dan.” Locals believe that throwing firecrackers at a Han Dan, a local deity represented by half-naked men in red underpants, brings good fortune. Personally, I would not want to be chosen as a representative. On the day of Lantern Festival, people eat yuanxiao (sometimes called tangyuan if with fillings). Yuanxiao are glutinous rice balls cooked in soup. They can be sweet with sugar or red bean paste, or salted with meat fillings. My personal favorite is tangyuan filled with sesame paste. They are eaten hot. I recommend a bowl of hot yuanxiao on cold winter nights like Lantern Festival. There is just one month of the cold winter left. Hang in there, everyone! Hello! This is Steven from Seika. 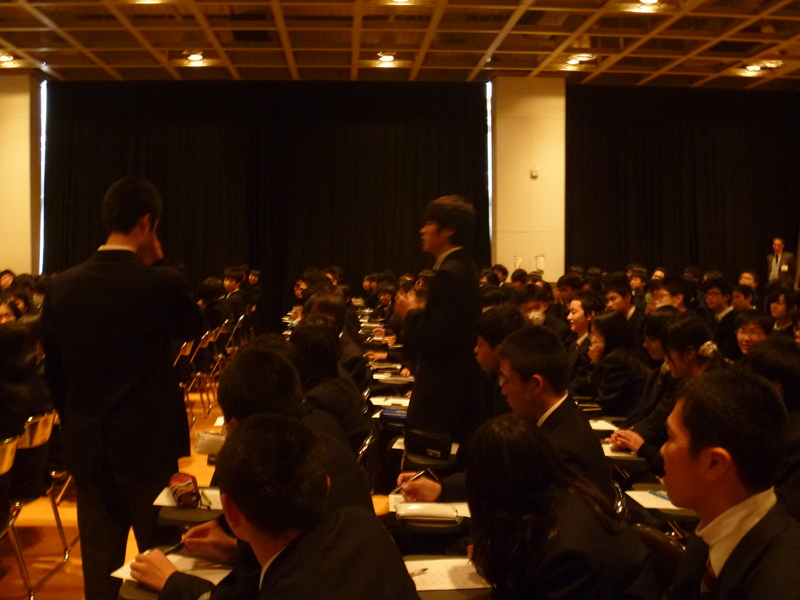 I would like to talk about this year’s Cross-Cultural Forum, which I also wrote about last year. 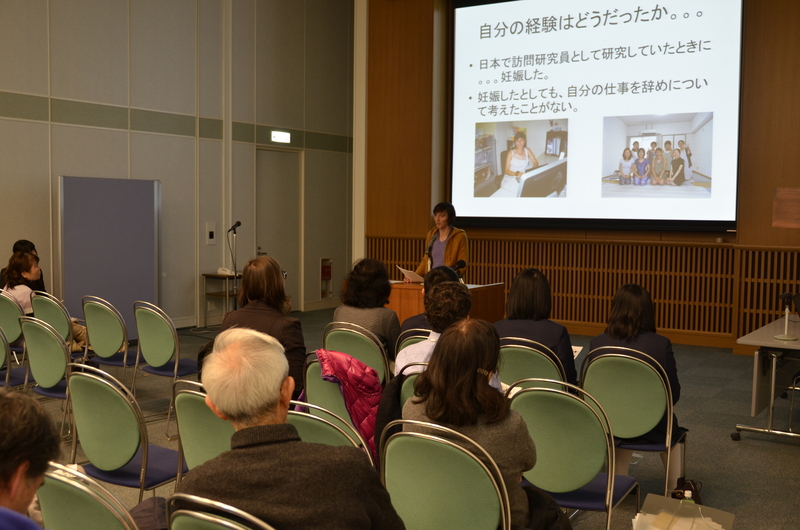 This year marked the 10th installment of the series, with a theme of “Women and Work.” This event took place in the Seika Town Office on Sunday, January 19th. The first speaker was Ms. Patrizia Zotti of the Nara Institute for Science and Technology. Ms. Zotti cited some statistics regarding the status of working women in her native Italy. 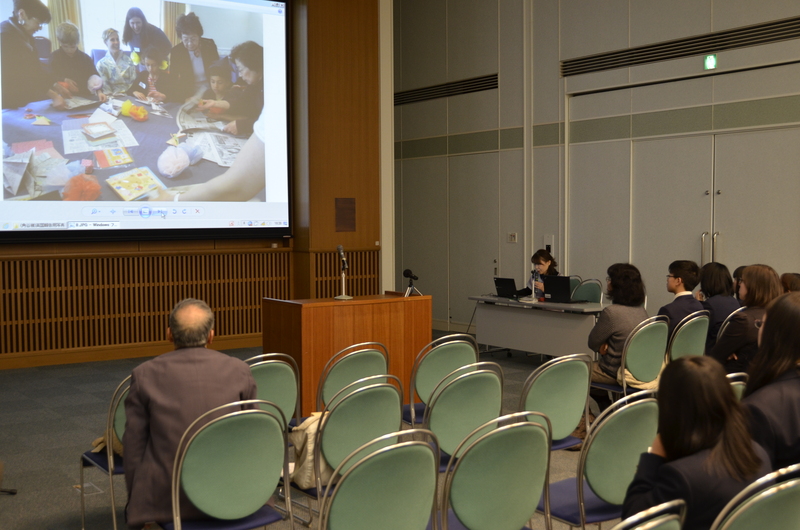 However, as a mother, she was also able to talk about her personal experience in Japan and hence offer a comparison of the two countries. After her was Irene Konrad of Osaka University. Ms. Konrad, originally from Austria, talked about the lives of herself, her mother, and her grandmother. Although her grandmother married and had children at a relatively young age, her mother was a career woman and did not have a family until later in life. Ms. Konrad expressed that she, too, was currently focused on academics and did not yet have a family. 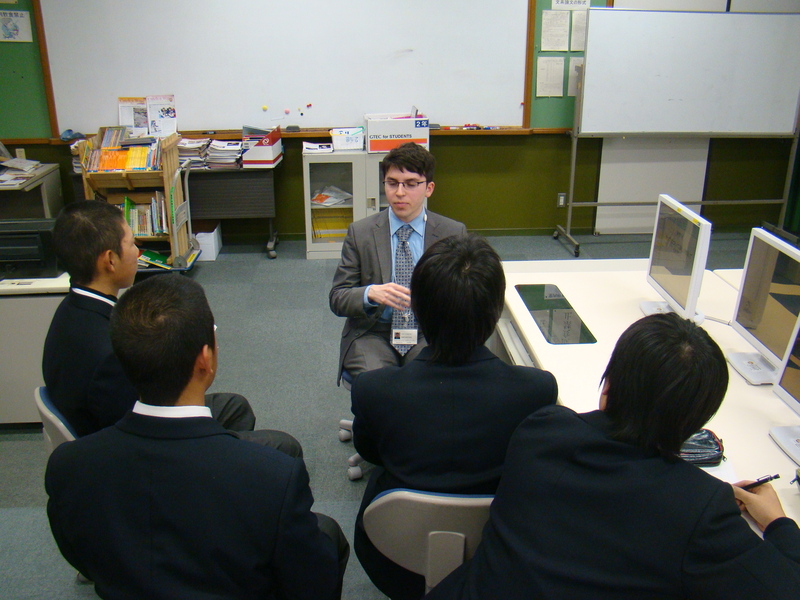 The last non-Japanese speaker was me. Of course, not being a woman (let alone a working mother), I was not totally sure if I was giving a comprehensive picture of working women in the United States. Nonetheless, I did my best to give an accurate impression of working women in the United States both through personal anecdotes about my mother and objective measures such as laws regarding maternity leave and statistics from the Bureau of Labor Statistics. 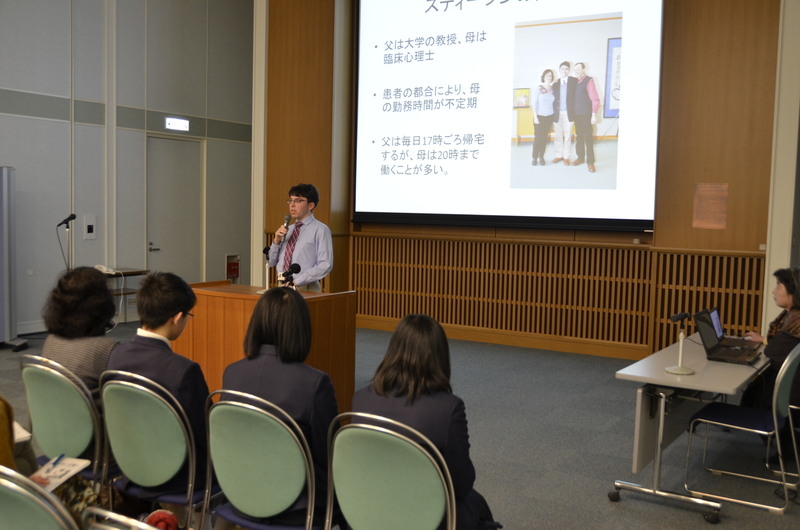 Following the speeches were presentations by middle school students. 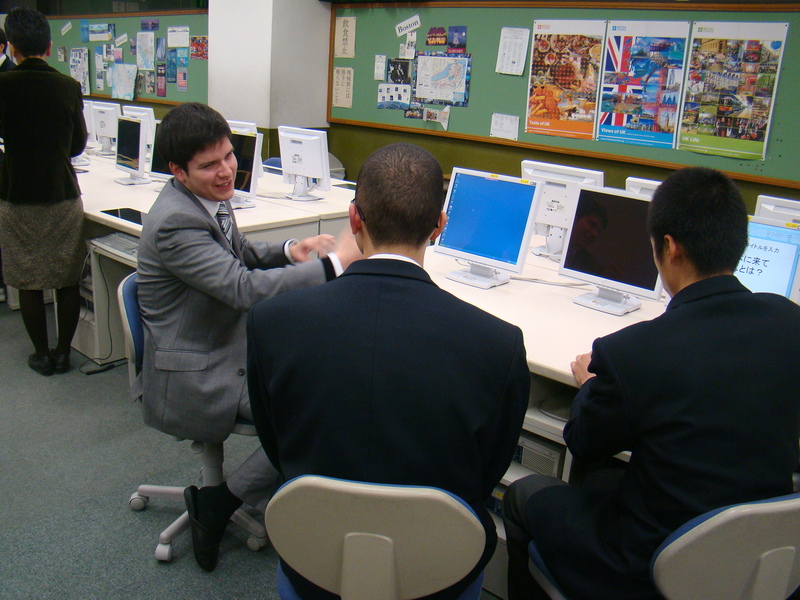 Three students from Seika Minami Junior High School reflected on their experiences interning at local stores and hospitals, while students from Seika Nishi Junior High School showed the results of a questionnaire they distributed to all of the students at their school regarding attitudes about gender. After that was a talk by Kuniko Kakutani about the month she spent in the United Kingdom. 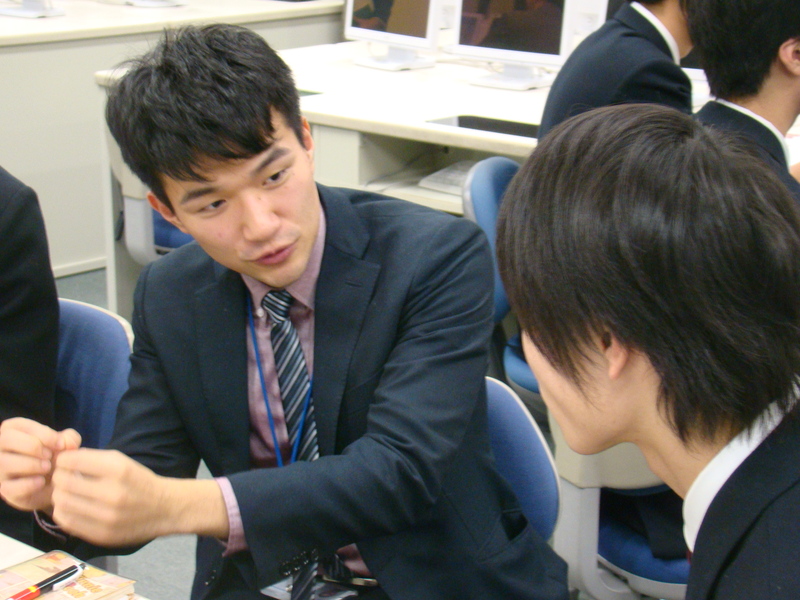 Ms. Kakutani received a grant from the Town of Seika to study English there along with a group of other people. The pictures she showed looked very beautiful! 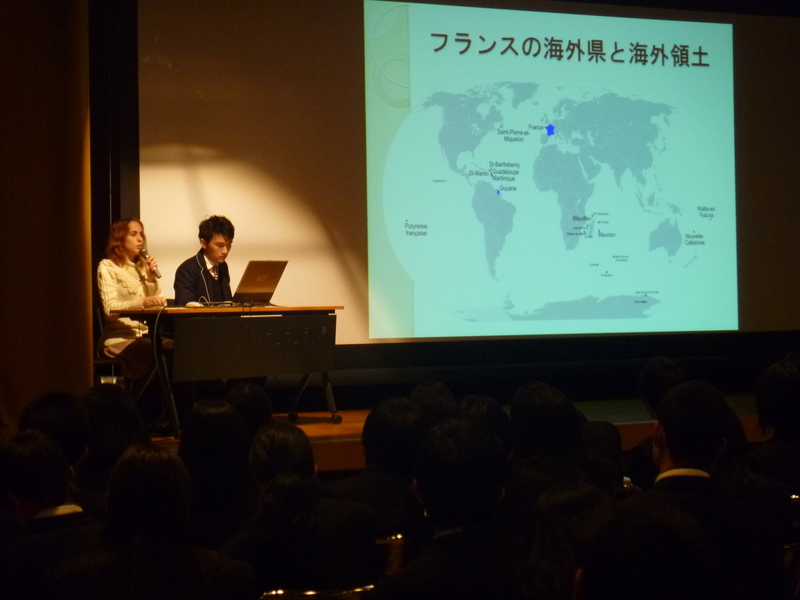 The event ended with a presentation by Ms. Hiroko Hayashi, the founder of the Cross-Cultural Forum series. 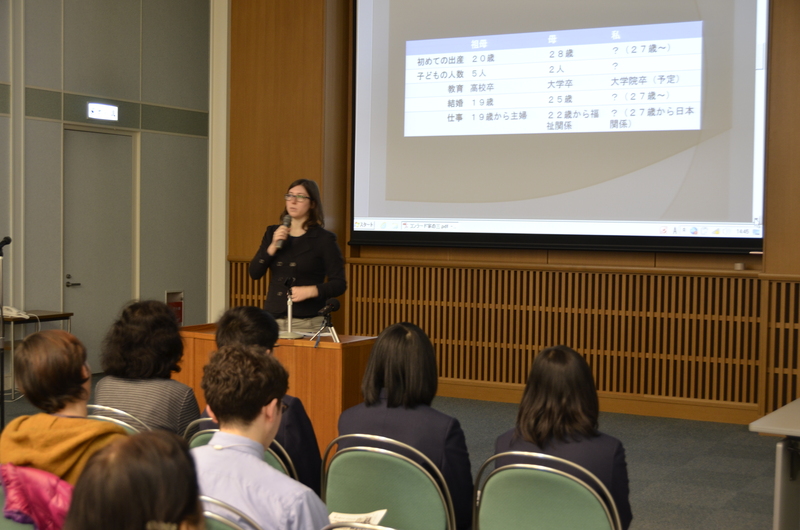 She showed a gender equality index comparing Japan to the three countries of the event’s speakers (Italy, Austria, and the United States) and talked about her research regarding the Japanese language. Thanks for reading! Please look forward to the next event in Seika!